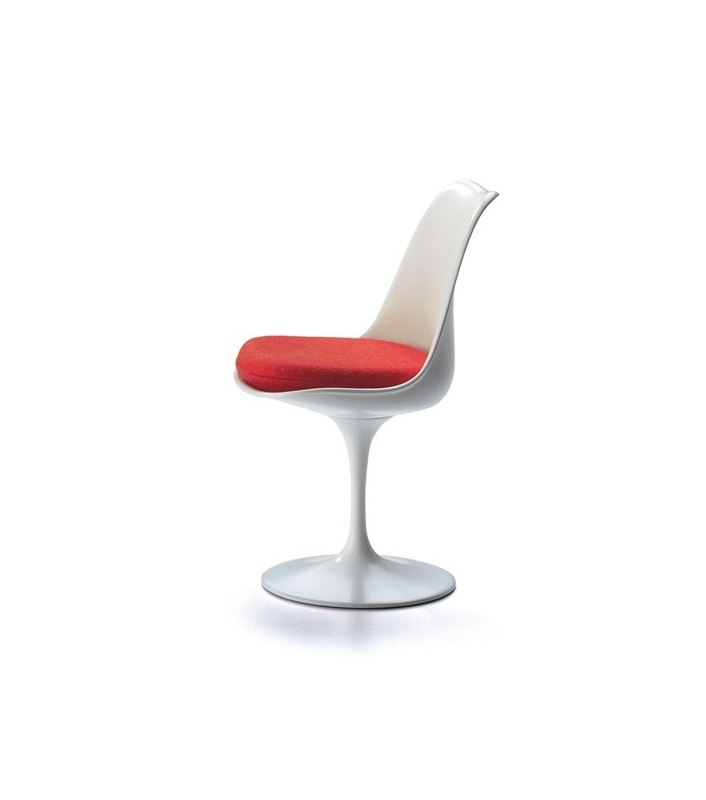 Vitra Miniature Tulip chair, Saarinen: The Tulip Chair is one of a series of chairs, stools, and tables developed by Eero Saarinen within a five-year period. The characteristic feature of the series is that the supporting structure has been pared to a central supporting stem »like a wineglass« in order to emphasise the uniformity of table and chair. 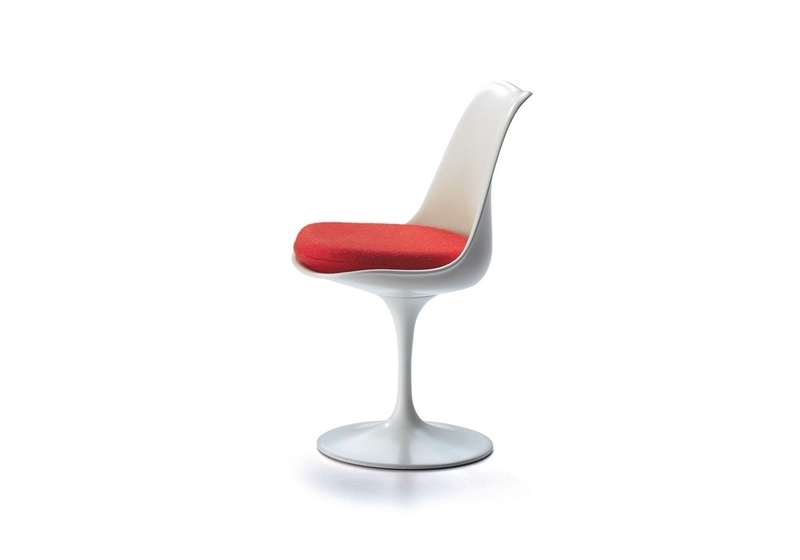 Vitra Miniature Tulip chair, Saarinen: The Tulip Chair is one of a series of chairs, stools, and tables developed by Eero Saarinen within a five-year period. The characteristic feature of the series is that the supporting structure has been pared to a central supporting stem »like a wineglass« in order to emphasise the uniformity of table and chair. 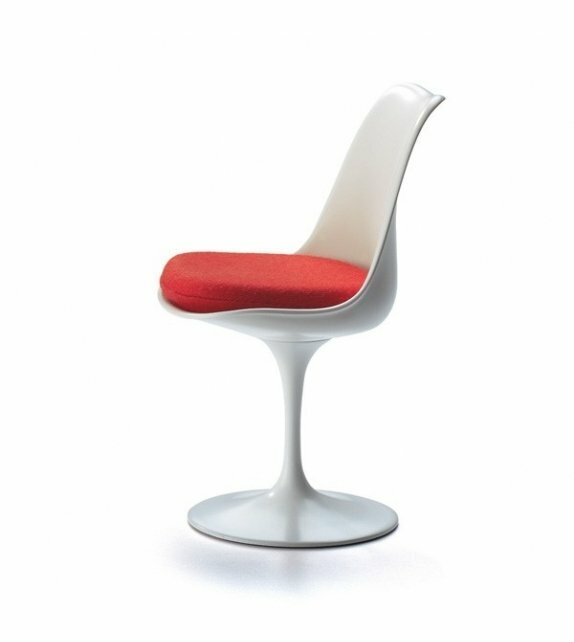 Eero Saarinen describes the Tulip Chair: »The bases of tables and chairs in a typical furniture arrangement create an ugly, confusing, and restless world. I wanted to design a chair as an integrated whole once again. All important furniture of the past always had a holistic structure, from King Tut’s chair to that of Thomas Chippendale. Today, we are parting ways with this holism with our predilection for plastic and laminated wood shells. I am looking forward to the point when the plastics industry will be capable of manufacturing the chair using just one material, the way I have designed it.« Lacquered polyurethane and aluminum.